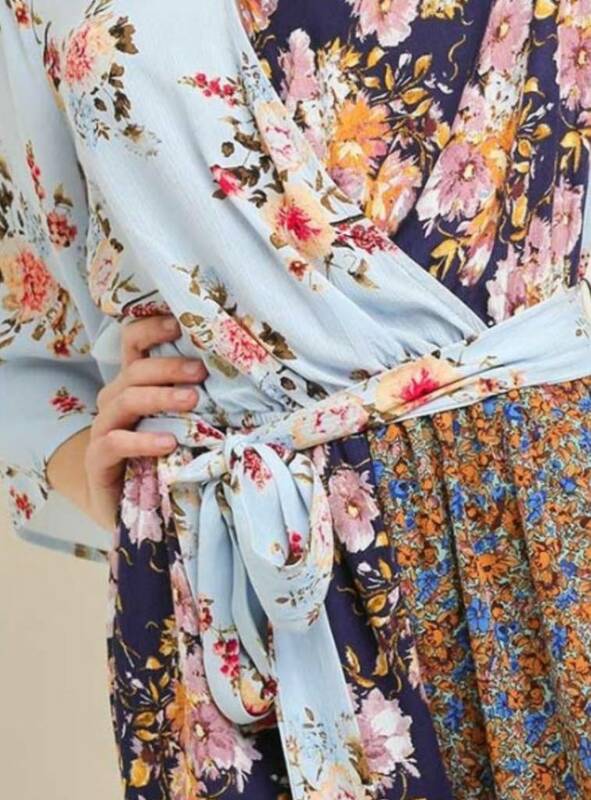 Multi-floral print romper with a three-quarter bell sleeve, a faux wrap front with a snap closure, and a self-tie belt. Partially lined (the shorts are lined). 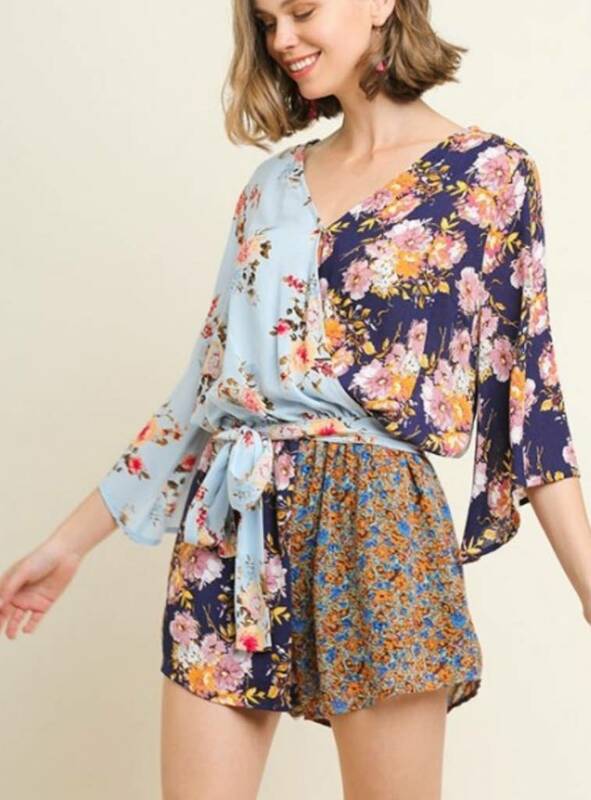 This romper runs true to size with a relaxed fit.